Over the last year, I have come to know Chicago-based artist Kelly Mathews through the Art NXT Level membership program. It has been my pleasure working with Kelly and seeing her move her art career forward as she follows her artistic vision. In this interview, Kelly shares her personal insights, lessons learned and more. 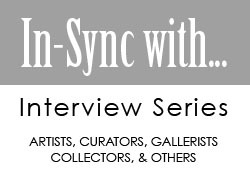 Get in-sync with Kelly Mathews. Never be too proud to ask for help. We all need it sometimes. SG: What kind of work do you do and what is it about? KM: The bulk of my work explores moral, social and political issues with the goal of initiating discussions. We can’t solve problems that we avoid talking about. My primary medium is Encaustic. SG: How did you arrive at this point in your career? KM: Not unlike many artists, after art school I spent 25 years in another profession while creating art solely for my own pleasure. Upon retirement three years ago I choose to pursue my dream of becoming a full-time working artist. It has been exciting, terrifying and overwhelming, but I feel blessed by those that have embraced me and my work. KM: Just yesterday I completed a nine piece wall installation based on comments about women from current Political figures. SG: What are the essentials you must have in your studio space? KM: Music, caffeine and a bit of a mess. I love the freedom of not worrying about sloping paint and wax about. I find that when I try to work in a space that I have to worry about these things I am much less willing to try new things. KM: There is SO MUCH material out there right now, and I have a tendency to get inspired / obsessed by everything. Learning to slow down and sift through it all to get to the core of the issue – that is my challenge! KM: What a tricky question! The answer seems to change every day. I’m just coming off a solo show that, sales wise, was a huge success. I also received a “rejection” letter this week for a group show that I really wanted to be in. I really need to keep it simple. I have a roof over my head, food in my stomach and a husband and cocker spaniel that love me. Every day I stay sober is a success. Every day I am not depressed is a success. Every day I get to engage with art on any level is a success! 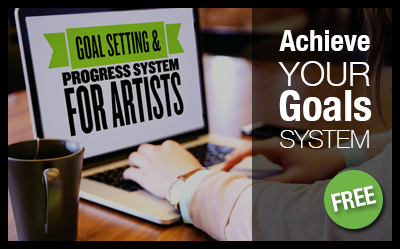 SG: How has the Art Next Level Program helped you as an artist? KM: Refer to question 2! Jumping back into the professional art world after a 30 year hiatus is truly overwhelming! Remember, back then we didn’t even have the internet yet! I was at a complete loss on where to even begin. Sergio and Dr. Yanina helped me write my bio, my CV, my artist statement, my website… and that was just the first three weeks! They have provided feedback and direction on every question I have asked. I came to them as an artist with three group shows under my belt since art school. In one year they have helped me quadruple my CV. SG: What is next for you? KM: With the sales from my last show I have several “holes” in my main body of work. My main focus right now is creating new work to fill these holes and refine the overall project. Far and away the best part of the job!!! Book – Right now I’m reading “Art Attack” by Marc Aronson. It’s a “Short cultural history of the Avant-Garde.” Definitely worth a read. Movie or Documentary – Don’t laugh – “Slaves of New York” Bernadette Peters is brilliant! Place to be inspired by – Anywhere in France! One sentence advice for an art student – Try every medium you can while it’s available to you, it’s much more difficult and expensive out of the school environment! YouTube video – “Wax on Wednesdays”. It’s an encaustic technique series!